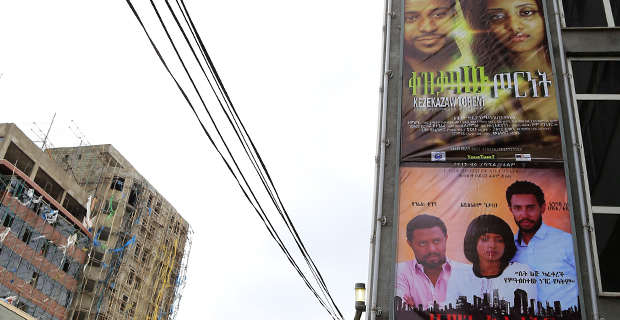 Life in Addis is full of contradictions. 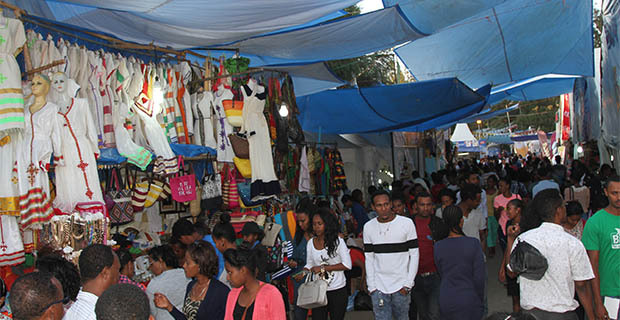 Residents living in the political and economic capital of Ethiopia, cannot avoid being overwhelmed by issues of varying weights. What takes the priority in one's mind is defined by the closeness to the issue. 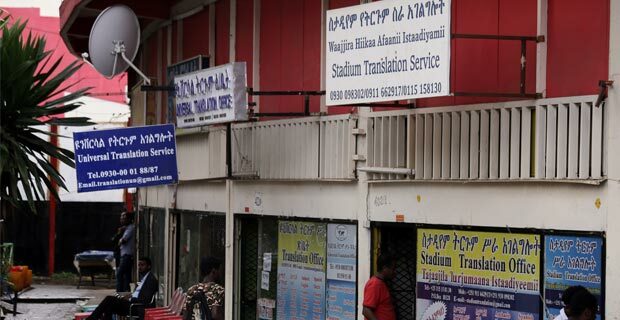 A typical week in Addis involves being taken away by national issues such as drought, and preferential issues, such as football. Last week was a typical time to see this trend. 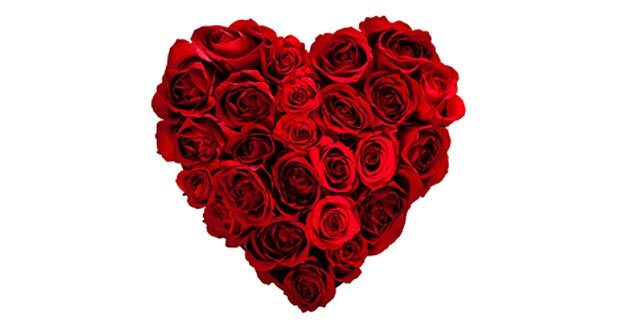 Last week saw the haunting drought and Valentine’s Day bonanza coinciding. 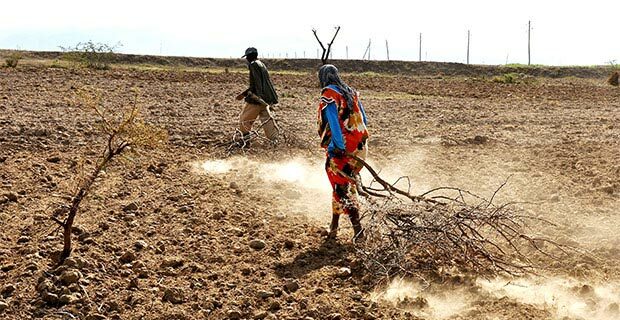 Over 10 million people scattered over six regions and a wide area of land are on the brink of death, according to Save the Children. The number of dead cattle and those about to ‘hit the buck’ are left to our imaginations. The golden side of the wax and gold (sam-enna worq) face – the adopted but much despised alien culture of red-coloured fanfare, was controversial in its own right. Controversial because many argue that the symbolism does not mean anything at all to the historical diversity in cultural expression. 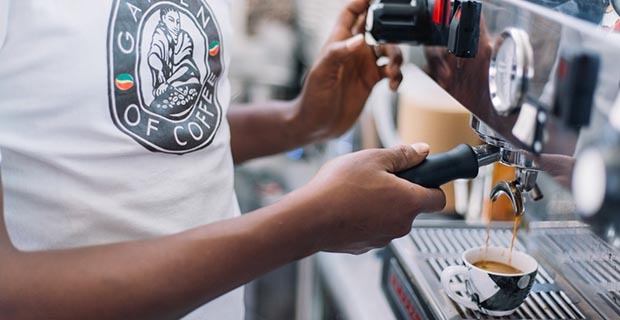 Others argue that if Ethiopia has to find itself among the fast developing nations, it has walk shoulder to shoulder with the rest of the thriving world in galvanizing business. Still others find the radio media’s devastating promotion of untimely wining and dining incongruous with the mass of the poor people at grassroots level hardly making ends meet, and even going to bed starving. What is even more annoying to listeners and television viewers are the daring, tantalizing and perhaps even pornographic advertisements of hotels for their 24-hour service of rooms for bedding with one’s partner. I hope the intent is not wasted on the reader. Such advertisements are indeed embarrassing in the land respected for its religious values and viable assets, and found queer even by the originators of the trait. Lest we forget the 1974 debilitating drought that decimated thousands of Ethiopians, young and old men and women, depicted in Jonathan Dimbleby’s film of creeping death, The Hidden Hunger, we should not lose sight that whenever deadly hunger strikes anywhere in the world, even dictionaries pick up the name of our country. The record inability of a country south of the Sahara to feed its people even under the shadow of freedom from colonialism for centuries and centuries, still haunts us. That calamity seems ready to strike again very soon unless urgent food aid is delivered. 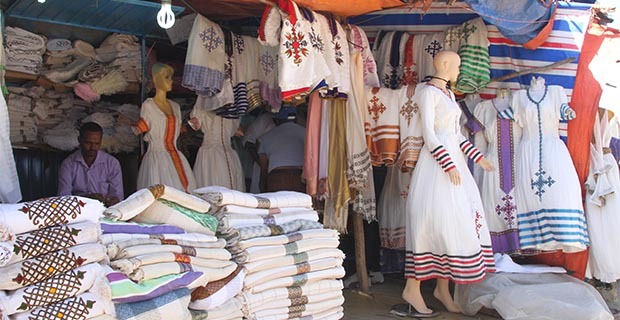 This perilous situation becomes moreembarrassing when our shopping spree and advertisements seem not to heed or care a penny for what is going on in parts of rural Ethiopia. The situation is not so different even in the capital. We can take case of two brothers who arrived in Addis Abeba a fortnight ago. 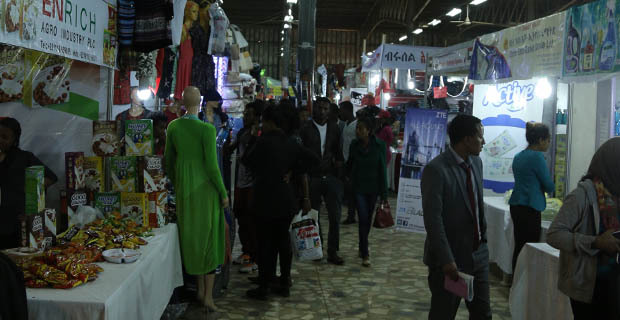 One came from Washington to see for himself whether the government’s rhetoric of a much-developed Addis Abeba is true or just a fuss. 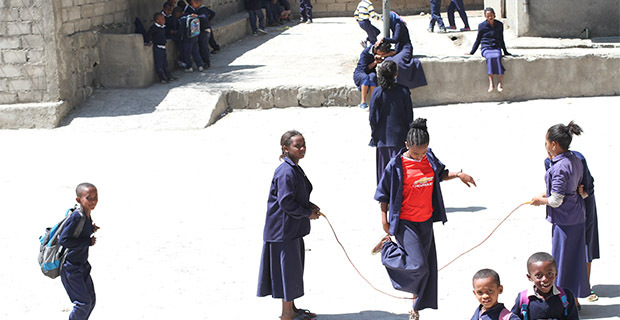 The younger one, on the other hand, came from rural Ethiopia – Kersa Wereda, Arsi Zone, to meet his brother in Addis for a short while before the latter’s return to the US. 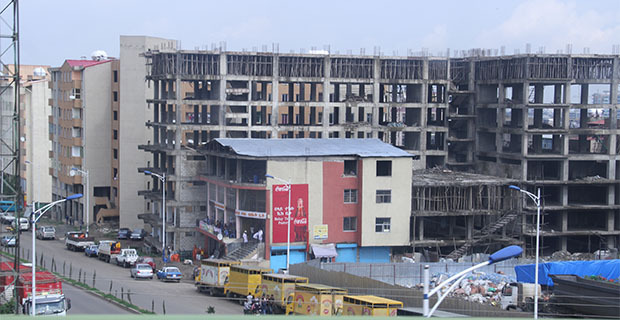 As soon the younger brother arrived in Addis, he was carried away by the construction and multi-storey buildings springing up alongside the wide streets. Though the streets are filled with hundreds of vehicles that grabbed his attention as he paused to look around, he was amazed by the fortune he had to pay to hire a taxi to go meet his brother. He tightly covered his nose with a handkerchief and travelled with a frown telling his dislike of the heap of filth by the roadside. It was simply a mound of trash that had not been collected for days. The official excuse official given by the concerned office was the breakdown of a dump truck that prevented the trash being picked up on time. What the older brother who came from the US saw, did not match the rhetoric. 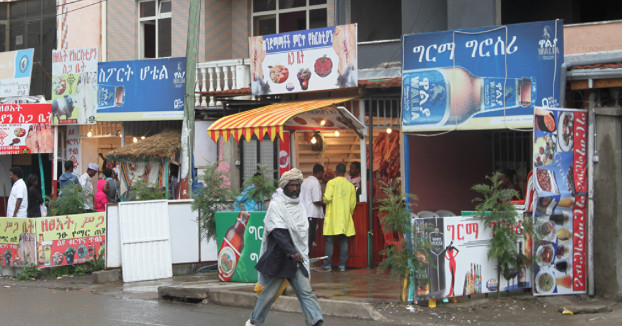 Poverty is still prevalent in Addis and even the lines of beggars on the streets of the city have not decreased. He witnessed change, but not to the extent that fit the talk in the air back in the US. 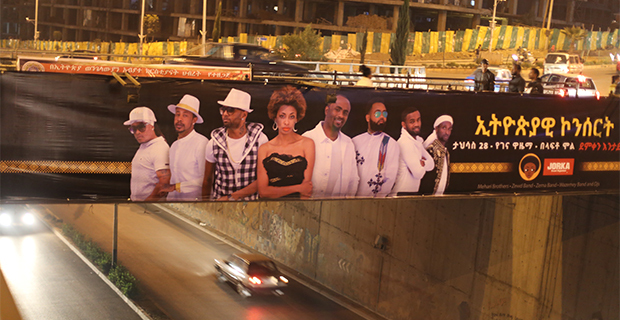 That is how Addis is perceived. It remains a city in transition open to different definitions by different people. The city is not seen through the eyes of t drought and Valentine’s Day. Football too has its place. Last week, for instance, the 50-year-old St. George team had a crashing history of 3-0 over its counterparts St. Michel United from the Seychelles on the first leg of the round. Fans of Arsenal had a cheer as the club scaled up their points and narrowed the gap as they were yearning to do. It was Danny Welbeck who came on to the field in the nick of time and made all the difference in the world on added time – two minutes from the last whistle. He had come back from a long recess due to injury. Liverpool fans also enjoyed their half a dozen goal victory over Aston Villa, while the Spanish Laliga Barcelona fans not only witnessed the magic works of their stars scoring half a dozen goals. That was the week that was. After all, living in Addis entails swimming in contradictions and last week was a typical time.